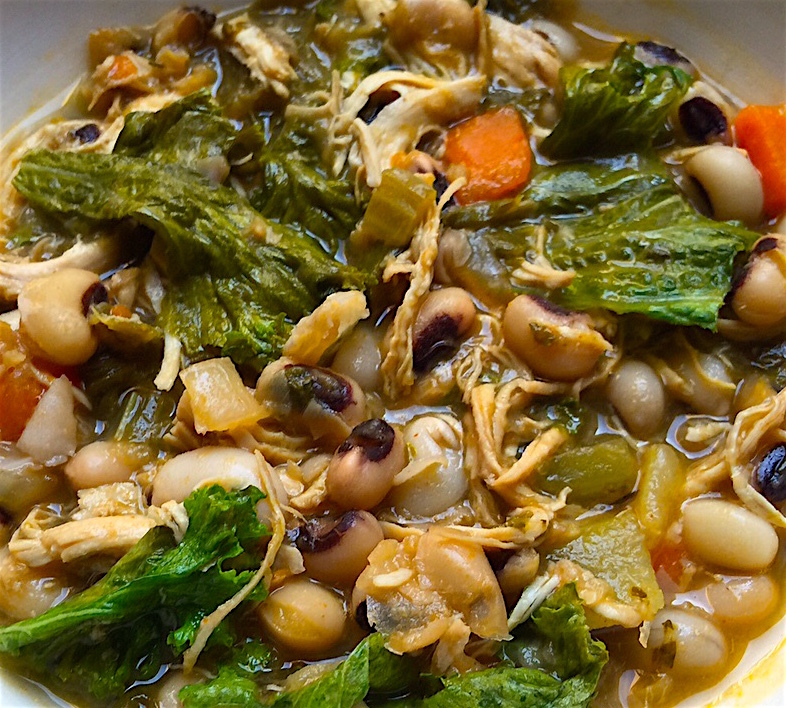 A chicken stew is a comforting dish that spans the seasons, but we’ve added black-eyed peas and mustard greens and turned our stew into a powerhouse of nutrients. 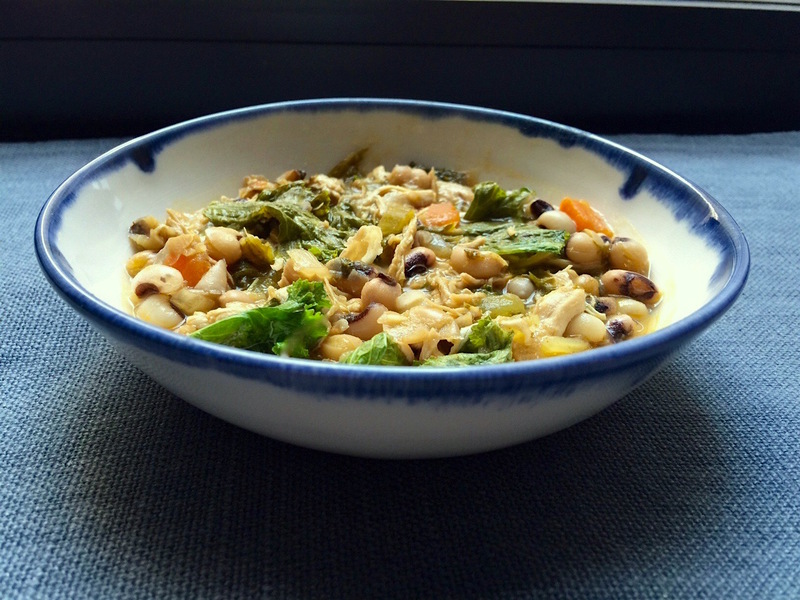 Black-eyed peas are in the bean family so they possess all the health benefits associated with pulses; and crispy, peppery mustard greens are one of the most nutritious vegetables around, right up there with broccoli, kale, and cabbage. But it’s not just the health benefits that have made this stew a Pollan favorite, we love its heartiness and delicious depth of flavor. 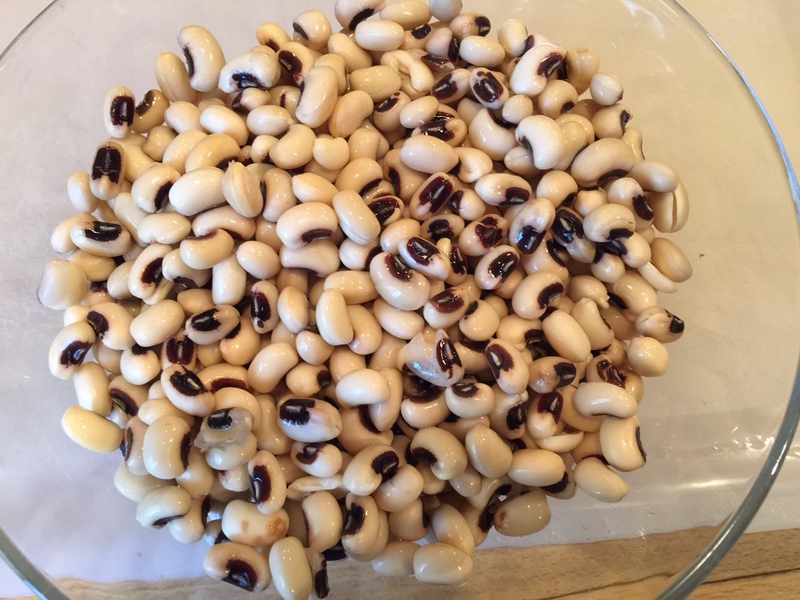 Cover the dried black-eyed peas with water and soak for 8 hours or overnight. Sauté the miripoix until lightly browned. The mustard greens get added last. Arrange the chicken in a skillet large enough to hold the breasts in a single layer. Cover them with 1 inch of water, add garlic, carrots, celery, bay leaves, thyme, 1/4 teaspoon of peppercorns and 1 teaspoon of salt, and bring to a boil. Immediately reduce the heat to low and simmer for 10 minutes, or until the chicken is no longer pink. Pour off and strain the poaching liquid through a sieve, transfer the chicken to a heatproof bowl, cover with the strained liquid, and set aside. When cool, use two forks to shred the chicken into small strips. In a large stockpot over medium heat, add the olive oil and when shimmering, add the onions. Cook, stirring occasionally, until translucent, 4 to 5 minutes. Add the garlic and cook for an additional minute. 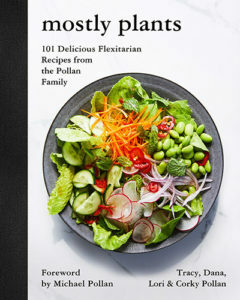 Stir in the carrots, celery, and bay leaves, and cook until lightly browned, about 3 minutes. Pour in the broth and the water, add the smoked paprika, chipotle chile pepper, thyme, and black- eyed peas, and mix well. Lower the heat to simmer and cook, uncovered, for 30 minutes. Add the shredded chicken, 1 teaspoon of salt and 1/8 teaspoon of pepper and simmer for an additional 20 minutes; adding more water if needed. Stir in the mustard greens, and lemon juice, and simmer for 15 minutes. Remove the bay leaves, ladle the stew into individual bowls, and serve hot.